The joint announcement today at the fairgrounds, where the gates open next Wednesday for this year’s event, is the next step in a plan between Super DIRT Week and the State of New York to move the event to a new, state-of-the-art facility that is currently under construction about 20 minutes north of Syracuse. 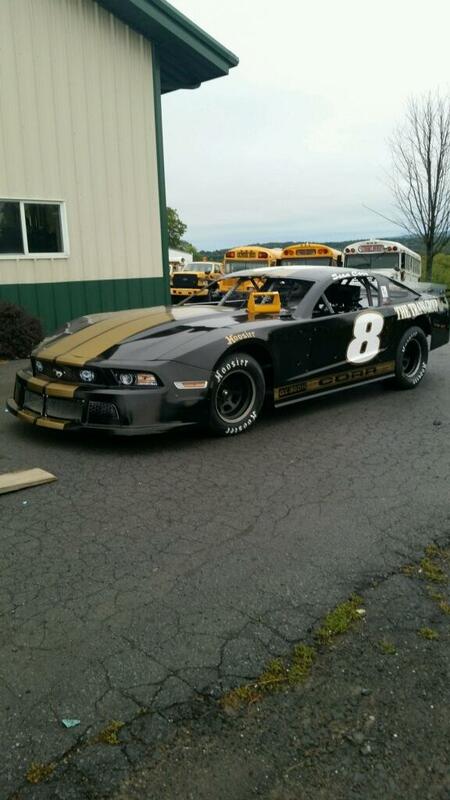 Sean Corr will be piloting his 2015 Shelby Mustang Sunday at Syracruse Fairgrounds for the final Dirt Week that will be run at this venue. Corr, who is a veteran dirt car driver and owner of Empire Racing Group will run for the win at the one mile track. September 16, 2015 Empire Racing Group, LLC. 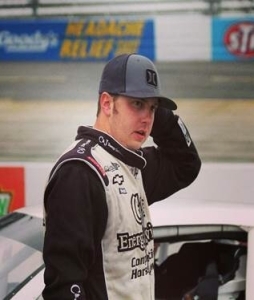 Austin Hill finished the 2014 NASCAR K&N Pro Series East season with back-to-back wins in the year’s final races at Greenville Pickens Speedway and Dover International Speedway. Despite the all-new NASCAR K&N Pro Series race car chassis and body, Hill managed to continue this momentum into the 2015 NASCAR K&N Pro Series East season opener at New Smyrna Speedway just south of Daytona International Speedway. Austin Hill is part of the 2014-15 NASCAR Next program designed to help promote young drivers in the NASCAR national and touring series. Hill made his debut in the in the NASCAR K&N Pro Series East at Columbus Motor Speedway in 2012 and recorded his first win in September of 2013. It took another year before Hill claimed the top spot in a NASCAR K&N Pro Series East race and it seems as if that win may have given him the confidence he needed to chase down a NASCAR championship. July 23, 2015 Empire Racing Group, LLC. Sean Corr Owner/Driver for Empire Racing Group will be making his NCWTS debut at Eldora Speedway this Wednesday night on the greatest dirt track there is in dirt track racing. 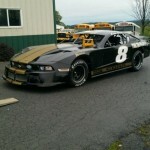 Sean comes from an extensive background in dirt track racing. Established in 2009 ERG began competing within the ARCA Racing Series with drivers Sean Corr, Owner and Driver for ERG, and Mason Mitchell. 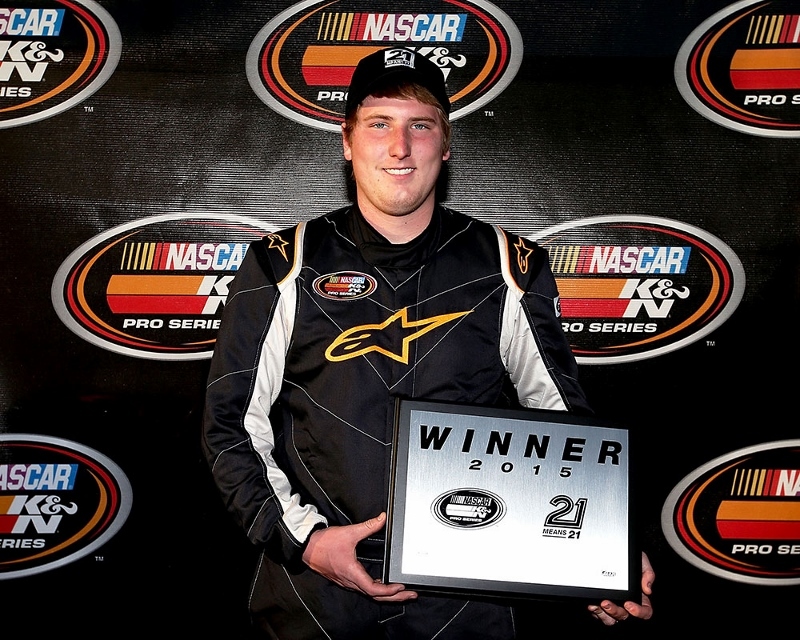 In 2012, ERG started to compete in the NASCAR Camping World Truck Series with drivers Sean Corr and Jake Crum. Currently in 2014, with the partnership of Grumpy’s Performance, Inc., the team has expanded to more events within the NCWTS. Sean’s other past time hobbies has lead him to represent his hometown horse carriage friends. Corr will be racing for VICTORY to help in the preservation for NYC Horse Carriages. New York’s Sean Corr is riding into Ohio’s Eldora Speedway with a message for a mayor back home. Corr’s racecar will feature a truck bed decal in support of Central Park’s horse carriage industry, which Mayor Bill de Blasio has pledged to ban. “I am really excited to be representing the New York City Carriages again at Eldora Speedway for The 1-800-Car-Cash Mud Summer Classic this Wednesday night. Eldora Speedway is one of the biggest races on dirt for the NASCAR Camping World Truck Series, and it is my pleasure to be driving in this race, and representing the NYC Carriages”, said Sean Corr, Driver/Owner of Empire Racing Group. Sean will be behind the wheel of the #82 Empire Racing Group Ford NASCAR Camping World Truck. The trunk decal pictures a horsedrawn carriage and reads “New York Horsepower” and “Save NYC Horse Carriages”. “Sean’s support means a lot because he grew up with horses. He knows what a happy horse looks like and didn’t listen to the animal extremists,” said Christina Hansen, a Central Park horse-carriage driver. Horse-drawn carriages have been a feature of Central Park since 1858, and are always a top destination for tourists. Featured in numerous classic films and television shows, the horses have become an iconic part of the city’s landscape. Mayor de Blasio pledged during the 2013 mayoral campaign to ban the industry, claiming that horses do not belong in today’s New York City. But New Yorkers have pushed back against the proposal, which would put 300 working families out of a job. Polls have consistently found greater than 2-1 opposition to the ban among New Yorkers and every editorial board and union in New York is against it. The ban proposal is currently stalled in the City Council. Corr is no stranger to horses. He grew up in Goshen, NY, where his mother owns a horse farm. As a child, he took carriage rides in Central Park, and recalls that the carriage horses were “the best part of the city.” When he heard about plans to ban the horses from New York City, he reached out through the New York State Horse Council to offer his support. With the support of Sean Corr, and the horsepower under and on the truck, Hansen and her horses hope to be driving for many years to come. Notes to Editors: Empire Racing Group and Grumpy’s Performance, Inc. is a Driver Development Team that strives to identify young talent that wants to pursue advancing their racing career. Empire has structured a successful team and program that creates successful individuals in their goal objectives. July 17, 2015 Empire Racing Group, LLC. Click on picture to display press release. The CARS Tour X-1R 300 at Southern National is the inaugural race of the CARS Tour, and while the buildup has been abundant it’s no secret that something new needs time to develop into something great. Director of Operations/Marketing, Chris Ragle, explains what the expectation levels are for all involved at the Southern National event on March 28th. Since the announcement of the CARS Tour in mid-November 2014 anticipation and hype has engulfed the new short track tour. The combination of both Late Model Stock Car and Super Late Model feature events on the same night at the same facility has truly created a “must see” event for short track facilities across the Carolinas and Virginia. The time for talk will now succumb to roaring engines as the green flag finally flies on the tour’s inaugural race at Southern National on March 28th. Experience at the 4/10 mile track can be found in both divisions, however; a new American Racer tire, a new tour, and close to 60 (sixty) cars expected to compete, the door has been left wide open to be the driver who wins the first ever CARS Tour race for their respected division.